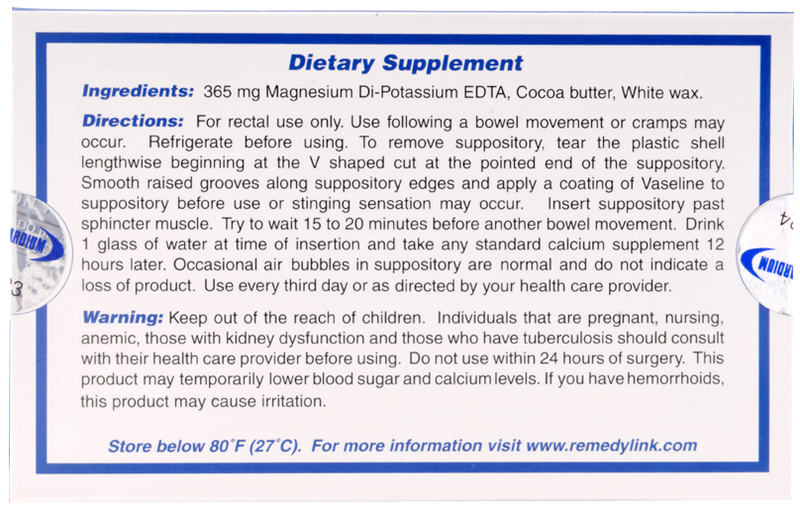 These are the Medicardium ingredients that compromise each Medicardium suppository: Ingredients: 600 mg of USP grade Magnesium di-potassium EDTA, and a proprietary blend of methylselenocysteine and edible organic essential oils in a base of organic cocoa butter. Magnesium Di-Potassium EDTA: Magnesium D-Potassium EDTA is used in Medicardium for suppository chelation. It is safe for adults who may be on a sodium-restricted diet, and for those who use calcium channel blockers, since it is calcium free. It is recommended that all users take a calcium supplement 12 after hours taking Medicardium since Magnesium Di-Potassium EDTA can help mobilize dystrophic calcium from the body soft tissues. Medicardium is safe and effective when used by young people whose veins are not developed enough for intravenous therapies. White Wax: White Bee’s Wax is taken off the hive immediately after it is made by the bees. This bee wax is highly prized for use in medicinal salves and ointments because of its purity. It is typically added to medicinal salves as a thickening agent.